Clothing, accessories, and home decor. 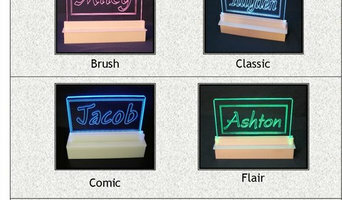 Personally engraved night lights that are available with battery power which is safe and cool. These desktop style night lights are 8" tall x 10" wide. Available with 6 LED colors and 6 font styles. Other nightlight styles are available. We are out to prove that everything people think they know about wall decals is wrong when it comes to our products. Mona Melisa Designs is a learning and lifestyle brand for kids and teens. Everything we create is inspired by our own experiences and individual education needs. We are proud to be family owned and operated, a provider of locally sourced products and a chosen partner of educational brands and schools. We’re designed to be different. http://pickbabystroller.com/ this is best baby umbrella stroller review site. 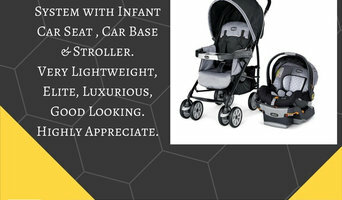 <a rel="nofollow" target="_blank" href="http://pickbabystroller.com/">http://pickbabystroller.com/</a> this is best baby umbrella stroller review site. TigersTies, a family owned business, offers trendy crib skirts, crib sheets and changing pad covers for moms and nurseries on a budget. 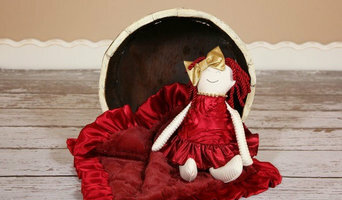 Colors and designs available to match any nursery. Ask about custom projects and sizing. We are a Consistently Top-Rated, Full Service Home Care Agency Providing Medicare-Certified Home Health and Private Duty Medical and Non-Medical Services. Available 24/7 365 days a year. What does a Fountain Hills kids room and nursery designer do? Most designers who specialize in decor for kids’ rooms and nurseries will tell you that a child’s room isn’t just for sleeping in. Little ones need a space where they can learn, play and sleep safely. Furniture, blinds and even lighting have to work safely for both you and your little one. Whether you’re hunting for small or large brands, make sure you chat with your Fountain Hills, AZ designer to make sure that what you buy meets safety requirements. To choose kids’ furniture that will stand up to the rigors of active play, look for high-quality furniture that meets Arizona standards. Make sure that each designer and manufacturer you work with is aware of any product recalls, dangerous materials and structural requirements. If you’re planning a larger project that goes beyond products, you might need to reach out to other qualified professionals for help. Here are some related professionals and vendors to complement the work of kids & nursery: Artists & Artisans, Furniture & Accessories, Interior Designers & Decorators. Find kids’ room and nursery professionals on Houzz. 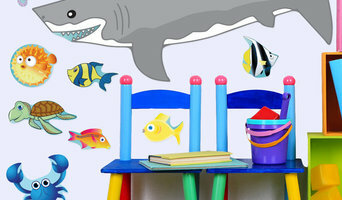 Narrow your search in the Professionals section of the website to Fountain Hills, AZ kids’ room and nursery designers. 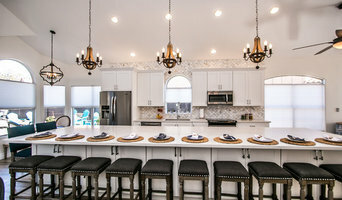 You can also look through Fountain Hills, AZ photos to find a room you like, then contact the designer who worked on it.